Did you know that the thing that’s keeping more CEOs awake at night than anything else is a skills shortage, and that the top ten most “in demand” jobs in 2010 didn’t exist in 2004? The problem is, people don’t seem to understand the “real” problem. While billions of dollars are being invested in recruiting and exiting people, restructuring, and developing and acquiring technical skills and solutions which will soon be out of date – the deeper and more systemic issue isn’t being acknowledged or addressed. So that begs the question. What’s the deeper issue? After more than 15 years of working with businesses of all types , and being a real geek for the past five years (yes, I’ve had my head buried in case studies and leading edge research from around the globe in every spare moment that I’ve had), I’ve come to this earth shattering conclusion. The deep DEEP issue is the lack of awareness, mindset and skills that are required to ensure we and our stakeholders stay aligned and adaptable. That earth shattering announcement on its own doesn’t have a lot of value… unless we have a capacity and ability to address it, so here goes. 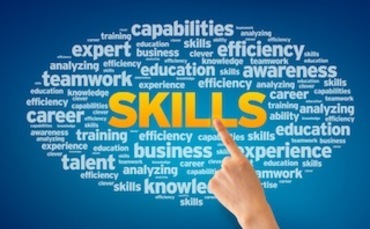 These are the skills that everyone, (yes, everyone), will most likely NEED to develop and acquire to stay relevant, productive and effective in a world that changes so rapidly, and where the pace of change is growing exponentially. They’re not mutually exclusive and are in no particular order, but numbers looked far better than bullet points when I wrote them down – so they’re numbered. Given that people are ultimately what make or break an organisation, and the adaptiveness and profitability of a business is a direct reflection of the adaptiveness and value of its people…, I challenged some business leaders a few weeks ago. I asked them why so little budget was being invested in adaptive skills and people development. The conversation was fascinating, with one breathtakingly honest response from a business leader who I have immense respect for. His response… “but would people who possess these skills and qualities want to work for us?” It’s a great question. Would they? That’s a post for another day. For now though, I’ll continue to stand on this particular soap box. 2015 is my year to shout from the roof tops, inspiring as many people as I can to empower themselves and others to embrace change, challenges and continuous learning; and to look for and take advantage of opportunities for improvement and breakthroughs. As part of this goal, I’ve created an inspiring and uplifting one hour fun, multi-media and interactive introductory session on what I call the “Adapter Factor™” for you and your team. If you’re looking for a ridiculously affordable way to give your people and your most important initiatives a real boost, to erode resistance and immunity to change, and to inspire your people to build the skills to contribute and add value at a whole different level both now and into the future; then your very next action today should be to flick me an email.